My name is Erik Ballast from The Netherlands. 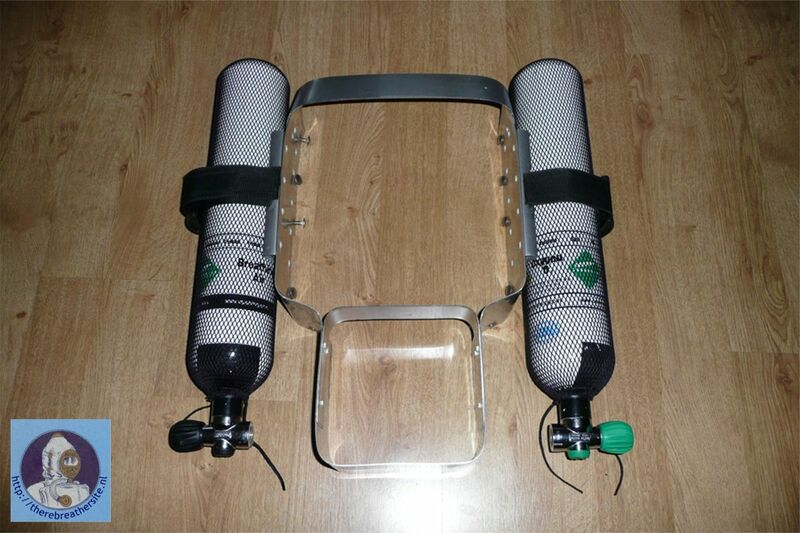 from Submatix is a very handy and small device for injecting the oxygen. 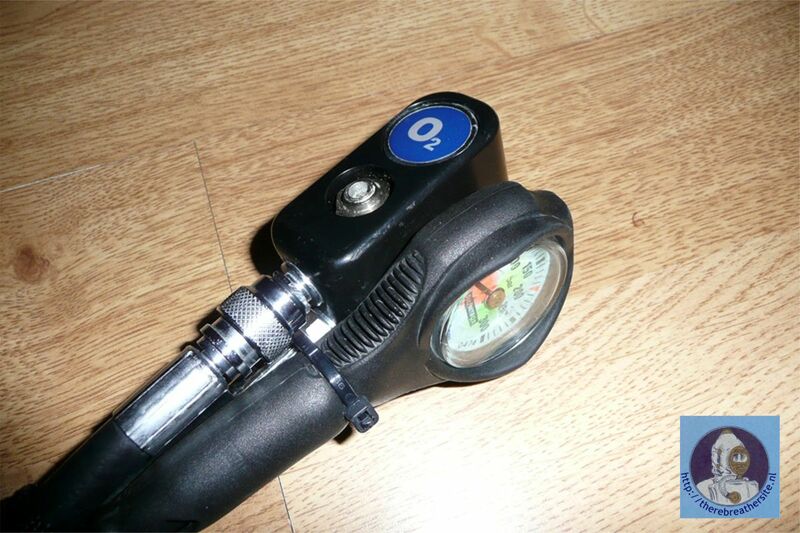 It is fully adjustable and with the inflator hose it is also very easy to disconnect if there is a failure with the oxygen feed. I used a Poseidon octopus as bail-out on the diluent, because it can be used right and left. 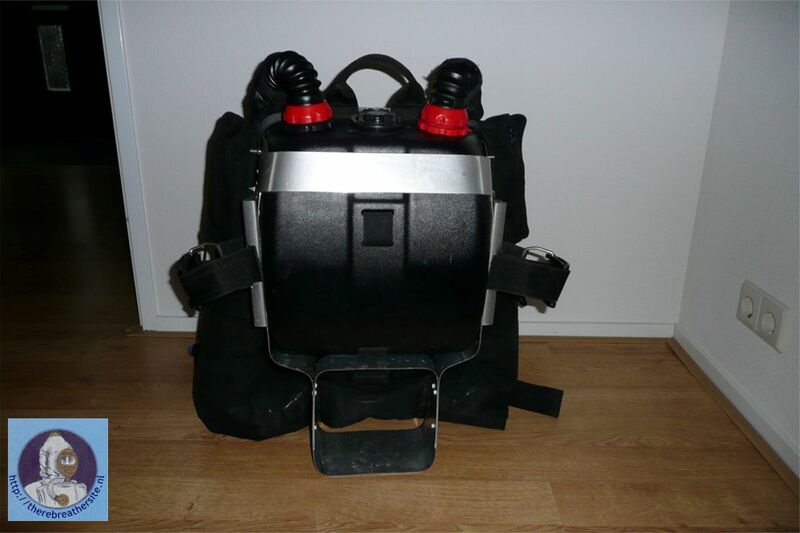 The new developed Gas Booster Pro of Submatix is used to dosage the oxygen in closed systems (Submatix SMS, KISS style). 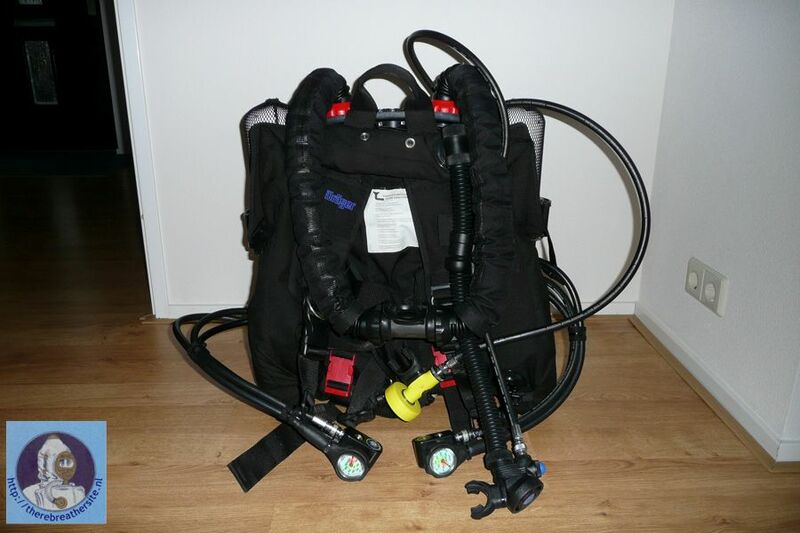 The system is connected to the oxygen supply by the help of an inflator hose. 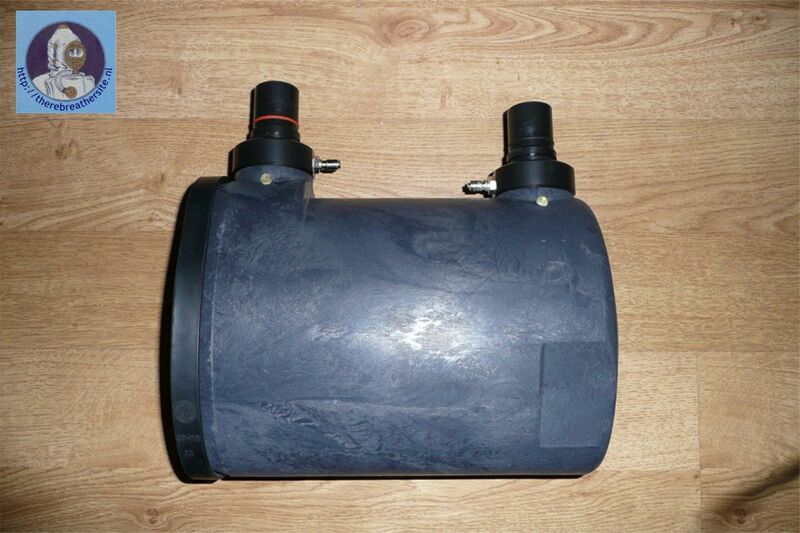 In case of a damage, the quick-coupling will help to re-combine immediately. The booster consists of a micro filter, an adjustable precision flow nozzle and a gas booster to feed the gas manually to the system. 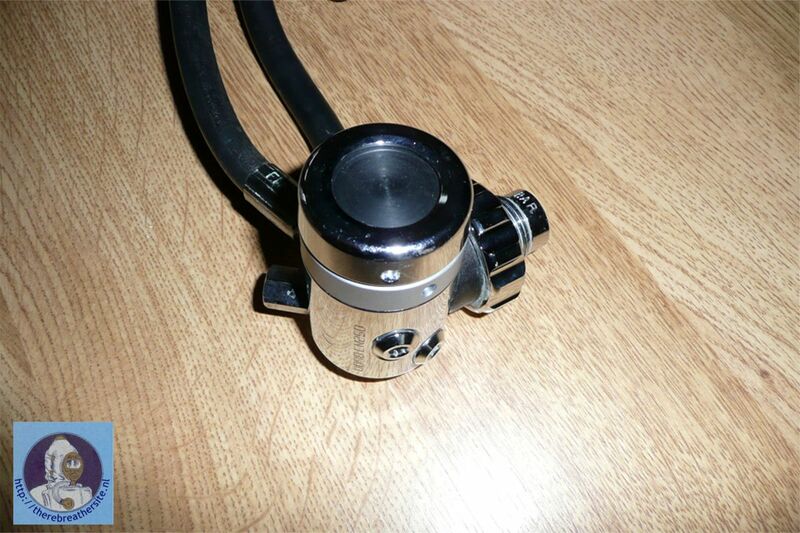 By the help of a low pressure hose the system is supplied with the needed gas. (R(ight) = rich gas). I marked the bottles and added a green knob to make the difference clear. 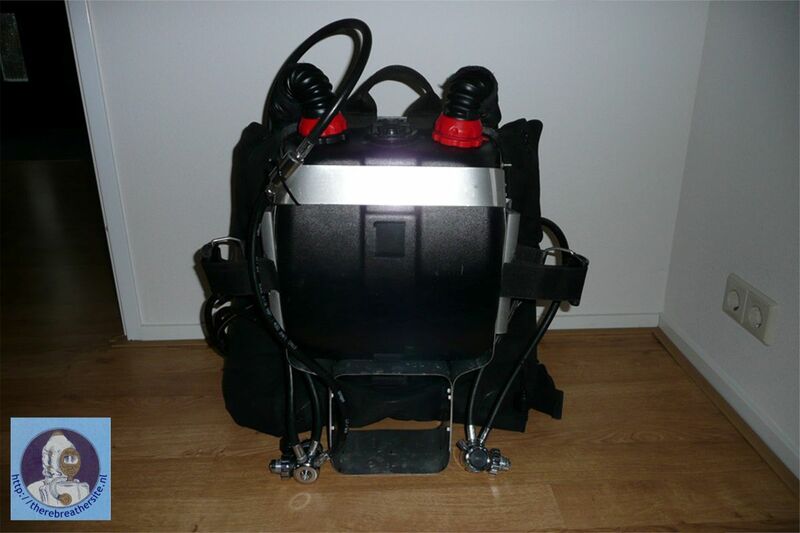 The original rebreather housing can be used and is not in mechanical stress because of the stainless frame. I chose to be able to inject oxygen and diluent manually. 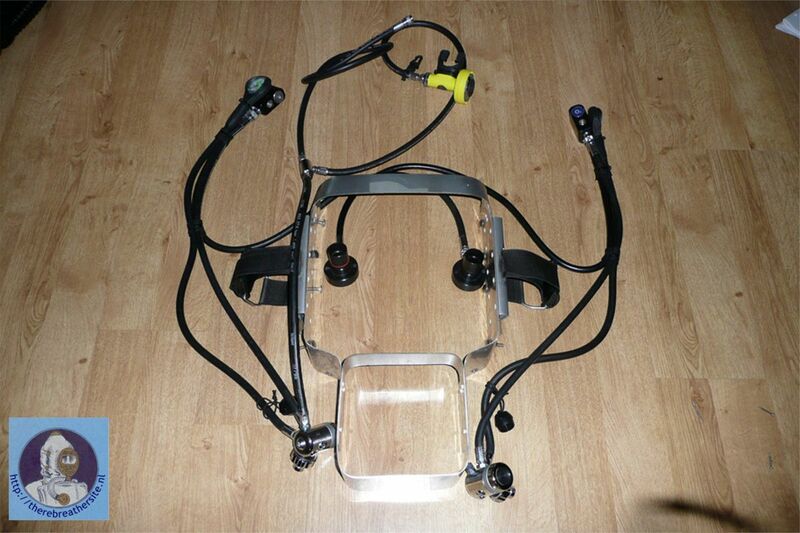 Many rebreathers are depending on an ADV for flushing the loop by inhaling through the mouth and exhaling through the nose. When my oxygen is high, the last thing I want is to take another breath of the high PPO2 mixture. 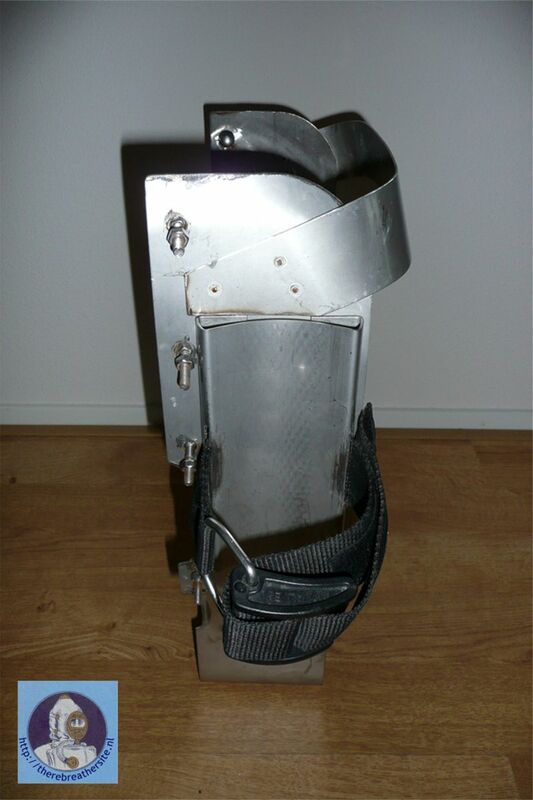 I have installed two ports available at http://www.tecme.de for injection. The red ring, which is on the exhale side is for oxygen. I chose the exhale side because the oxygen can than better mix and has to make his way through the scrubber first. My PPO2 monitoring is of course in the inhale lung. When you add oxygen straight in the inhale lung, to my opinion the cells can not give an accurate information. It is possible to inject the oxygen right in to the cells, which is not exact PPO2 you are breathing. On the Inhale side I have installed a port for diluent injection. If my PPO2 is too high, I want to be able to boost diluent immediately into the lung, not to depend on the ADV which gives a delay. 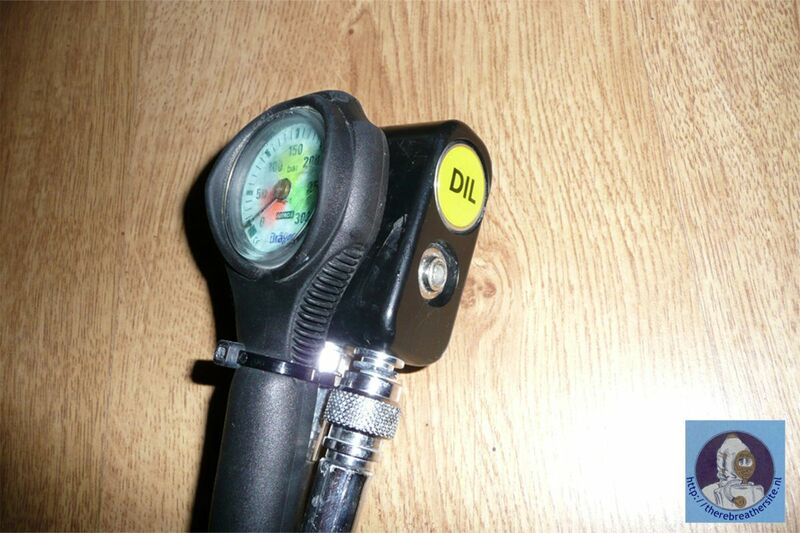 De connections are simple inflator hoses. Easy to connect and disconnect. Easy to install in about five minutes. The frame I made from stainless steel. I just bought a strip and bended it into shape with the curves of the original shell. To give it stability I added a strip on top and on the lower side. It can stand alone, even with the bottles attached. This is the backside of the frame. 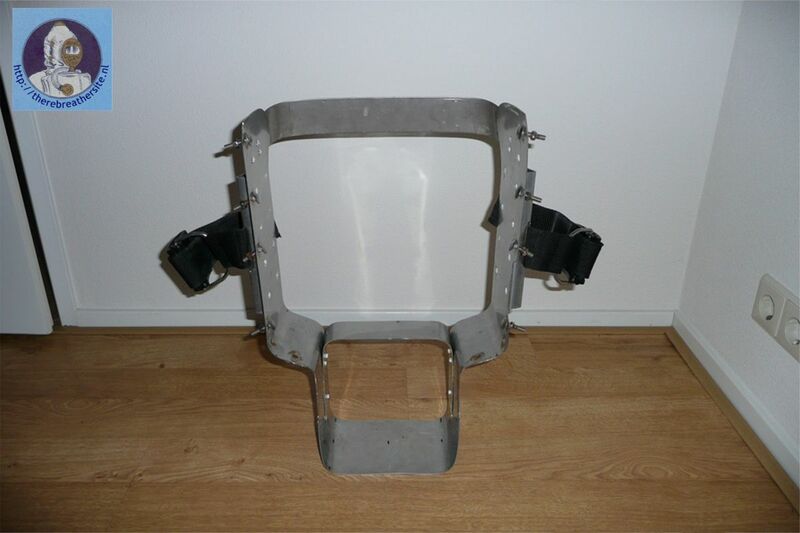 Side view of the frame. To hold the bottles in place and to make sure they don't twist or turn I installed a curved bracket in the shape of the bottles. 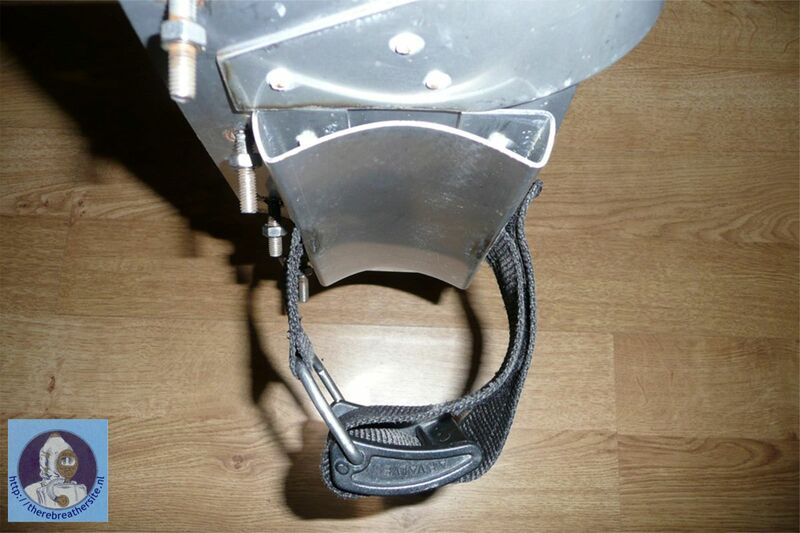 With normal straps they are held in place. 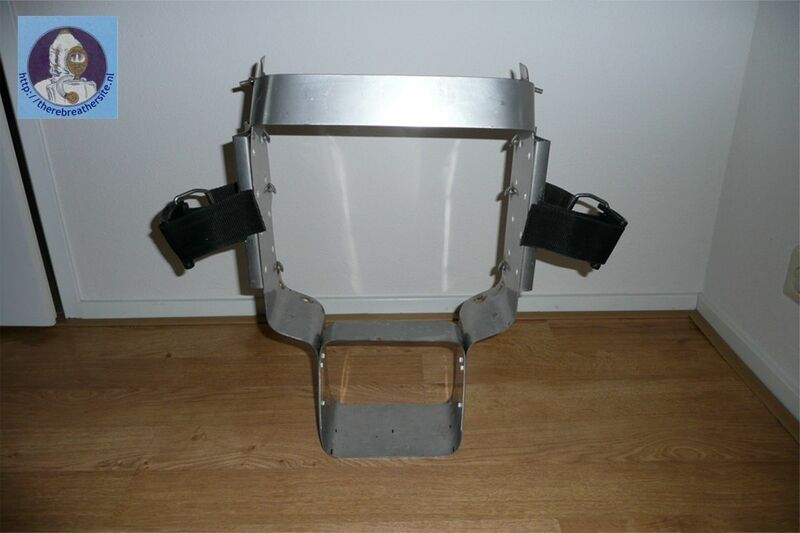 The frame is easy for vacations, cause it is small and also bigger size bottle can be fitted. Here the 3-liter bottles are attached. I used Inspiration bottles. 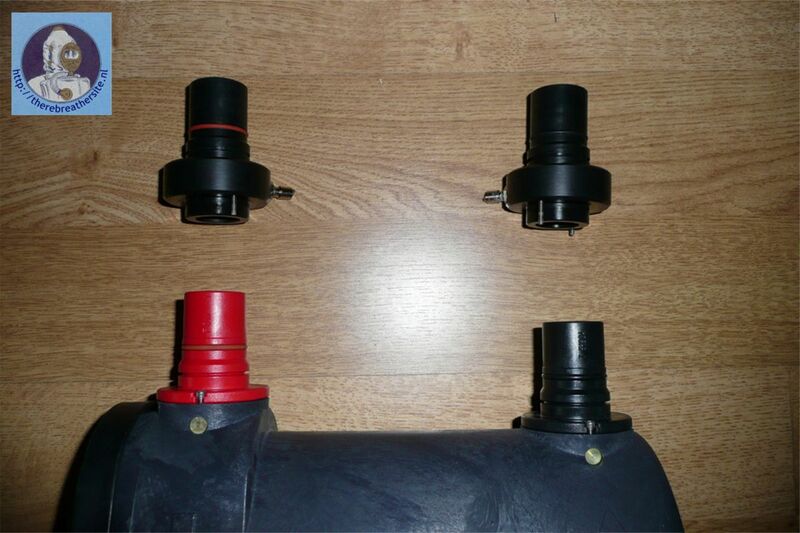 With APValves valves for easy opening and closing while in use. As first stages I used the very reliable Apeks DS4. The oxygen side has been made closed with a ring from www.tecme.de. 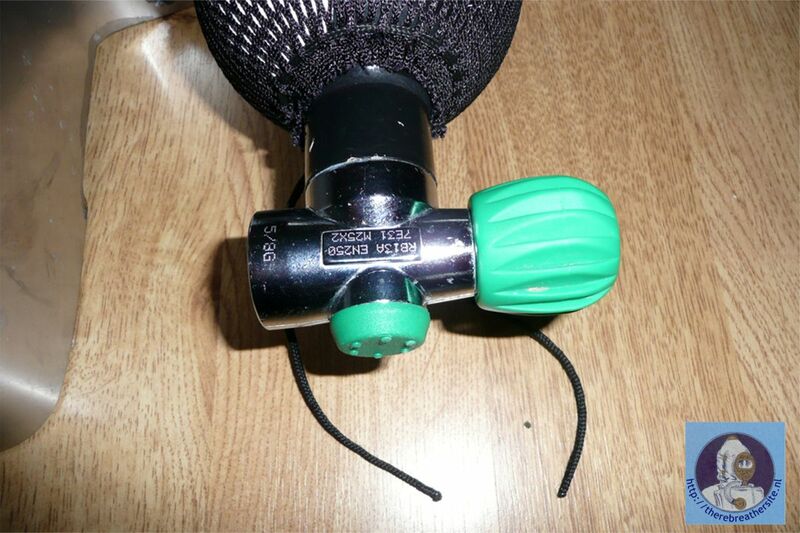 I also installed an overpressure valve to protect the oxygen booster. Top view of all components installed. It can be put on the Dolphin in 1 hour. In the middle you see the two ports for injecting diluent and oxygen. On the diluent side, left, I installed a three-way mid-pressure manifold-block to connect the bail out octopus, the inflator for the wing and the drysuit inflator. 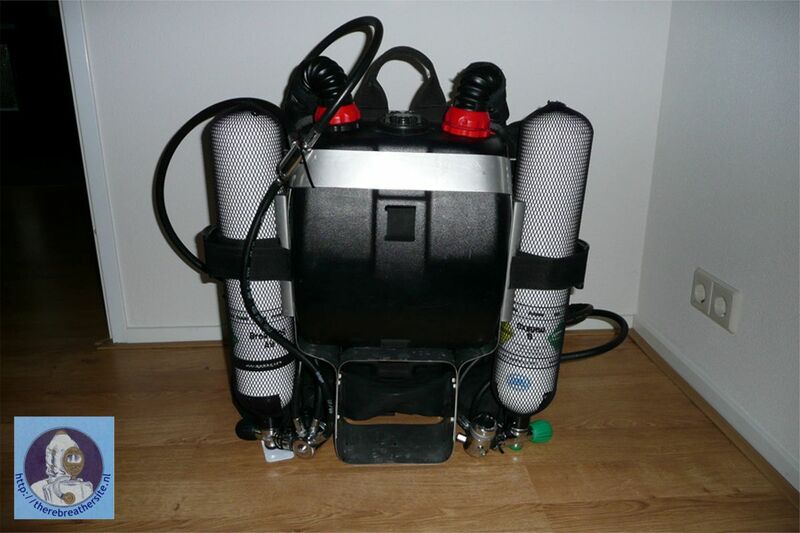 The oxygen booster from Submatix, available at Submatix or www.scubaservices.nl in The Netherlands. I connected the booster on the pressure gauge, but made sure that I always am able to disconnect the oxygen inflator. 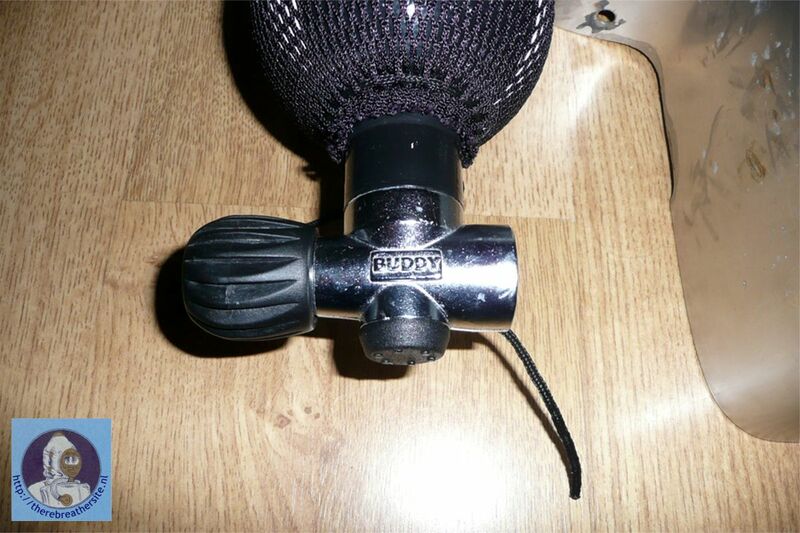 The booster is fully adjustable to any CMF (constant mass flow), and easy to use. Also the diluent booster is easy to use. Of course the boosters can be set to any CMF, but I closed that valve in the diluent booster. There is only diluent injected when the button is pushed. View of the backside with installed frame. For PPO2 monitoring I used a Submatix Oxygauge. I chose to not use the original ADV. Actually, I did not install any ADV. I found it so easy to use the diluent booster that I took the ADV out. On the Apeks DS4 there is an extra connection possibility when I want it later. The boosters are very well placed. During the dive when I move my arms forward I automatically touch the boosters. The gauges are easy to read. In the inhale lung there is an extra p-port (the one for the ADV) to add an extra PPO2 monitor. For the tables I use a Buddy Nexus computer. This computer is made for use with the Classic Inspiration. It can be used with open circuit and closed circuit. Thanks Erik for sharing this information! 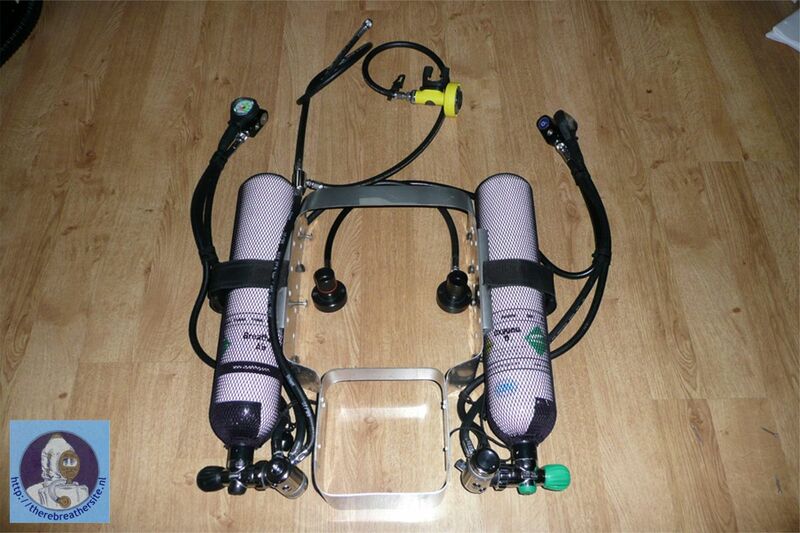 Erik build a manual operated closed circuit rebreather from his Dolphin. 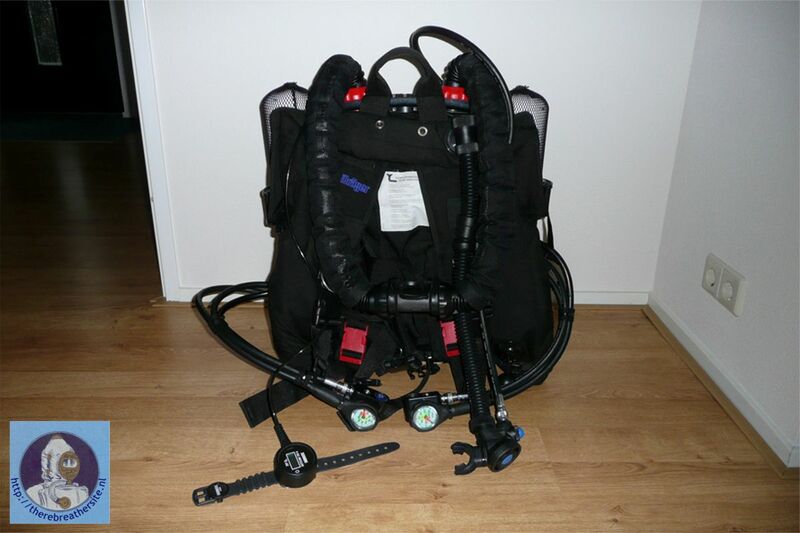 As you will read in this article many nice design features are used to build a reliable simple but high quality rebreather. I would like to thank Erik for sharing this information with us!